Feinman-Riordan, Grace. 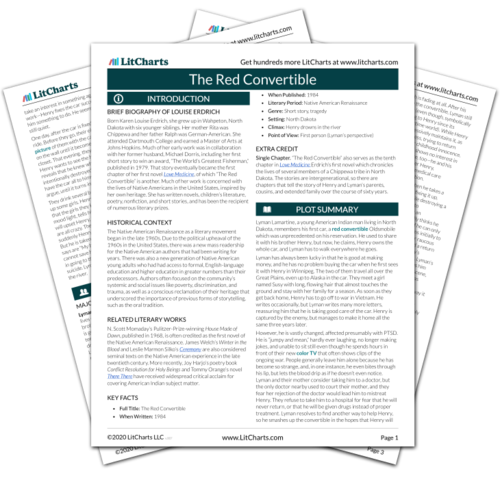 "The Red Convertible Themes." LitCharts. LitCharts LLC, 31 Aug 2018. Web. 11 Dec 2018. Feinman-Riordan, Grace. 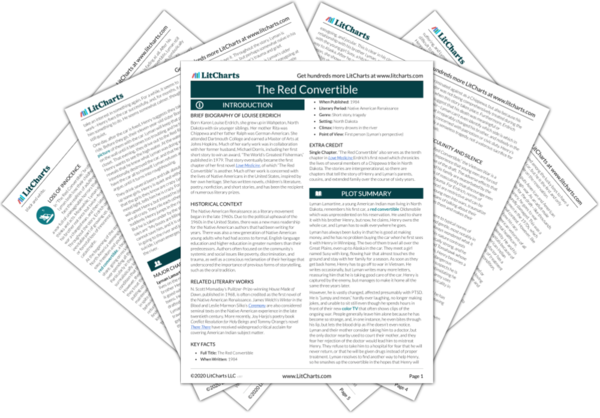 "The Red Convertible Themes." LitCharts LLC, August 31, 2018. 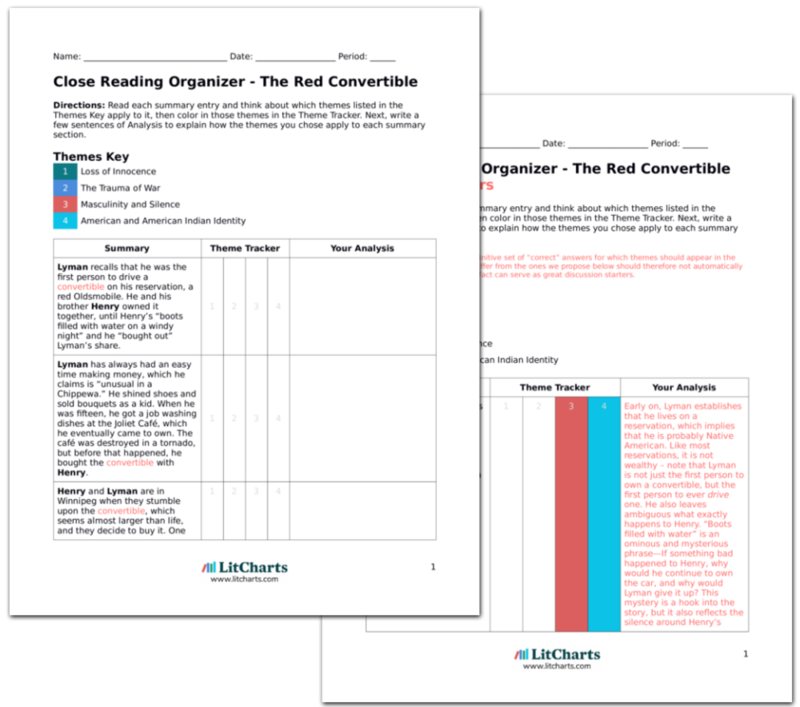 Retrieved December 11, 2018. https://www.litcharts.com/lit/the-red-convertible/themes.